According to data collected by Expert Market, female entrepreneurship in the U.S. has been growing steadily over the last 20 years, increasing from 4.1 million female owned firms in 1997 to 9.1 million female owned firms in 2014. While the District of Columbia and Maryland are the states with the top two (respectively) highest percentages of female owned firms, southern states have seen the largest gains in female entrepreneurship over the span of the analysis – benefitting from record numbers of female owned businesses. Southern states occupied four of the top five states that saw the biggest increases in women-owned firms. Georgia took the lead, seeing a 117.9 percent increase, followed by a 98 percent leap in Texas. North Carolina, Nevada and Mississippi filled in the last three spots. Notably, the southern states of Florida and Alabama made top 10 appearances. Additionally, Georgia ranked No. 5 overall for the total number of women-owned businesses by state. 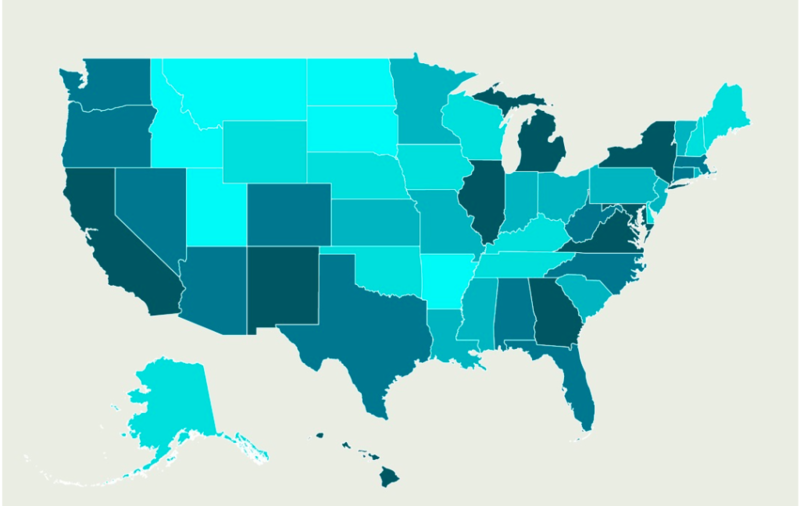 Click here to see how all the states measured up. Women entrepreneurs aren’t just launching businesses. They are bringing in serious revenue. These women owned firms have brought in $1.4 trillion so far in 2014, compared to $819 billion in 1997. Interestingly, the number of employees has not increased by much, staying around seven million, indicating that revenue is being generated mostly by small businesses finding ways to increase efficiency and profitability. What’s driving this growth in women-owned businesses in the South? First, many southern states like Georgia have an abundance of programs and nonprofit organizations aimed at supporting female entrepreneurs. Second, the cost of living is lower in many southern states – reducing the opportunity cost of starting a new business. And third, Taxes. States like Florida and Texas have no state income tax, relieving some of the financial burden associated with starting a new business. Experts also point to generational changes as a possible reason for the surge in women entrepreneurs. The emergence of crowdfunding has made access to capital easier. Whereas college graduates used to look for secure employment within large corporations, more of today’s graduates are exploring entrepreneurship as a real way to make ends meet.